Our Treks have a unique wilderness flavor not found at other high adventure programs or bases. 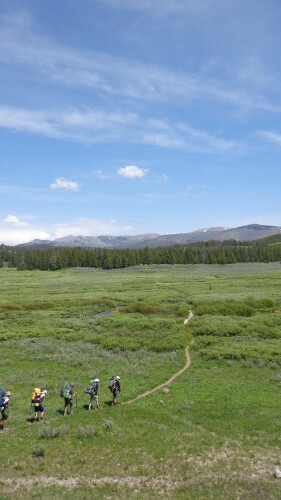 Scouts will travel through the 2.9 million acres of wilderness in Yellowstone National Park and the Shoshone National Forest. Trek guides will accompany your crew for the duration of your trek, helping you refine your wilderness camping and travel skills. Trek participants MUST arrive no later than 3 PM on Sunday to begin their preparations for the trip. Participants should bring the items listed in the Trek Equipment Checklist. Current Trek availability can be found at the bottom of the registration page.